Stonewater is pleased to confirm that it is taking part in the pilot of the Voluntary Right to Buy Midlands scheme. A pilot in the Midlands, where there is a range of different housing markets, will provide vital information to Stonewater, fellow Housing Associations and the Government before the scheme may be launched nationwide. Stonewater are keen to play a part in exploring how elements of the VRTB scheme will operate, whilst also giving some of our Tenants an amazing opportunity to buy their home at a potentially substantial discount. In order for our tenants to be as informed as possible before taking the first step to becoming a home owner, we have created a number of guides to help you. 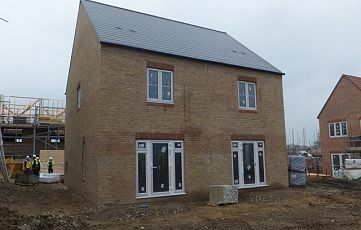 These will run through things such as how you can check if you are eligible for the scheme, the cost of becoming a home owner, which homes Stonewater will not be able to sell and what will happen if you are offered the option to port your discount. Once you have read all of the above guides the next step is for you to obtain a Unique Reference Number (URN) from the Government. Tenants must apply on the Government’s VRTB website at https://midlands.righttobuy.gov.uk to obtain a URN. The gateway on the website is currently closed and with only limited numbers available not every applicant will be able to receive one. An algorithm has been used by the Government to randomly allocate places on the pilot. Emails have been sent out to each entrant to inform them whether they have been successful or unsuccessful in the ballot. Tenants must apply to Stonewater within four weeks of their receipt of the URN with a completed application form signed by all parties and including all supporting evidence. Please note that, even if you do receive a URN, there is no guarantee you will be able to buy your home. This also depends on the eligibility of your home and its affordability to you. 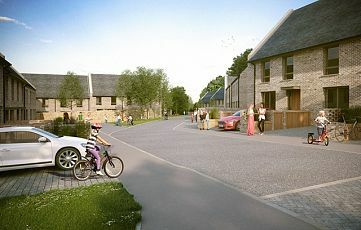 All applications to Stonewater will need to be made online via https://stonewaterhomes.co.uk/voluntary-right-to-buy. Note: We are unable to provide previous tenants with duplicate copies of their tenancy agreement to support Right to Buy, Right to Acquire or Voluntary Right to Buy applications. We are however, able to provide a reference letter which would confirm the dates of tenancy for your Stonewater home as well as the tenants who were listed there. We will charge an administration fee of £30 inc VAT for this service. To request a reference letter please call 01202 319119. If you have been successful in obtaining a URN then the deadline for submitting your completed application to us has now passed. Stonewater are not able to offer any extension to this unless it is exceptional circumstances. If you have any queries please refer to our Voluntary Right to Buy Frequently Asked Questions document. Note: Unfortunately the Government’s ballot is now closed and Stonewater are unable to accept further applications. Stonewater will be in contact to update you as and when further information is released by the Government. In the interim we would invite our Tenants to take some time to research the potential value of their home as well as take advice on the move to becoming a Home Owner and any mortgage funds you may be able to borrow. The Government has appointed Move with Us as agents to provide free and independent advice on the Right to Buy. Their Right to Buy Agents will be able to help you with questions regarding eligibility, filling out your application form (when the time comes), where you can get financial and legal advice from and what to do if your application is delayed. Please only use this form if you are a Stonewater tenant and wish to purchase your home under the voluntary Right to Buy scheme. Full eligibility criteria are set out on The Government’s Right to Buy website and Stonewater Eligibility and Exclusions policy can be read at www.stonewater.org/vrtb. 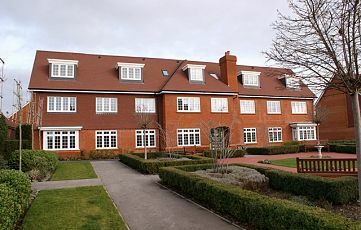 If you think you are eligible, to proceed with an application you must first have registered your interest through the Government’s website www.midlands.righttobuy.gov.uk and have been allocated a unique reference number (URN). Stonewater are not permitted to accept applications without a valid URN, any application submitted without one will not be processed. There may be times when the Government’s website is closed to new applications, Stonewater have no control over that and if you have any questions you should contact the Right to Buy Agents for more information. Stonewater recommend you obtain impartial financial and legal advice prior to making an application. Remember, buying your home is a big decision. It’s a good idea to find out if you can afford to purchase and maintain your home before you make an application. The Right to Buy Agents – a free, impartial source of information funded by the Government. You can phone them on 0300 123 0913 or contact them via the website: www.righttobuy.gov.uk/agent-service. I understand the above advice given by Stonewater and confirm I am happy to continue to apply to purchase my home through Voluntary Right to Buy.